We woke up early and had our breakfast in the Garden hotel in Laluna resort in Chiang Rai. The weather was cool in the early morning in Chiang Rai, we checked out at about 9 am and headed to Chiang Mai. The distance was 3 hours (197.5 km) via Route 118. 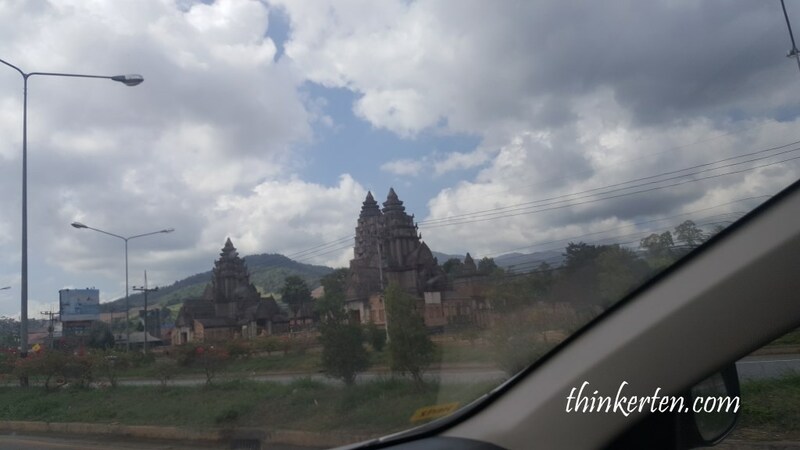 Chiang Rai – Chiang Mai is an easy drive, there were a couple of checkpoint stops but we just get waved through or don’t need to stop at all. The roads get a bit more hilly one hour before we reached Chiang Mai but overall the road from Chiang Rai to Chiang Mai is mostly very good and smooth. 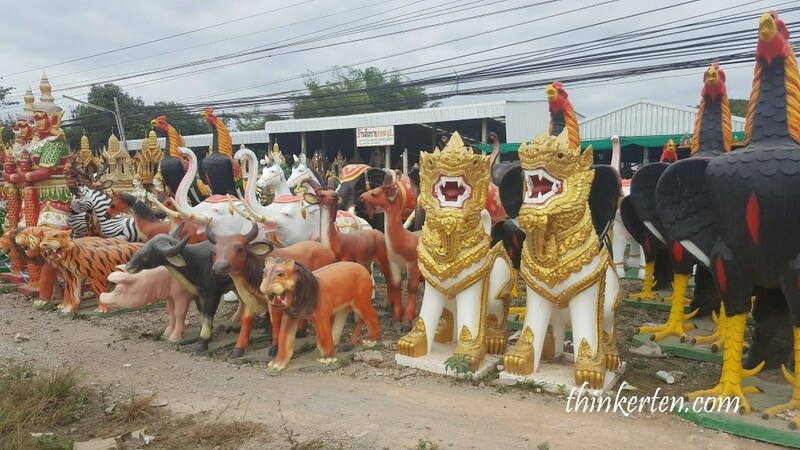 We stopped by this place along the highway in Chiang Rai and bought some decoration to decorate our garden back home. We bought two white Cranes and one pink flamingo. After about an hour drive, we saw this place on our right hand side which look like a temple with very beautiful architecture so we decided to make a U turn to check out the place. Next to this old temple building, it is actually a spot for tourist to stop by to have their coffee or toilet break – 5 baht. Lots of market stalls selling their wares. 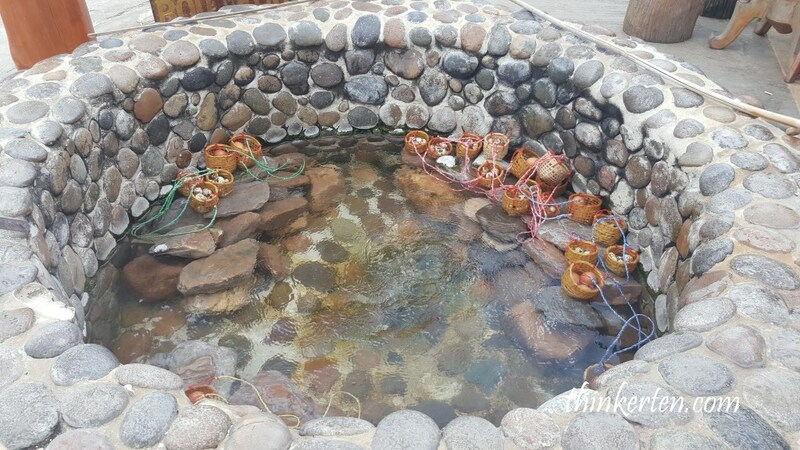 There is also hot spring operating for tourists. Interesting to watch people cooking their eggs in little baskets. The temperature in the area is quite cooling and with the hot mist from the Hot Spring, it balance out the temperature a bit. 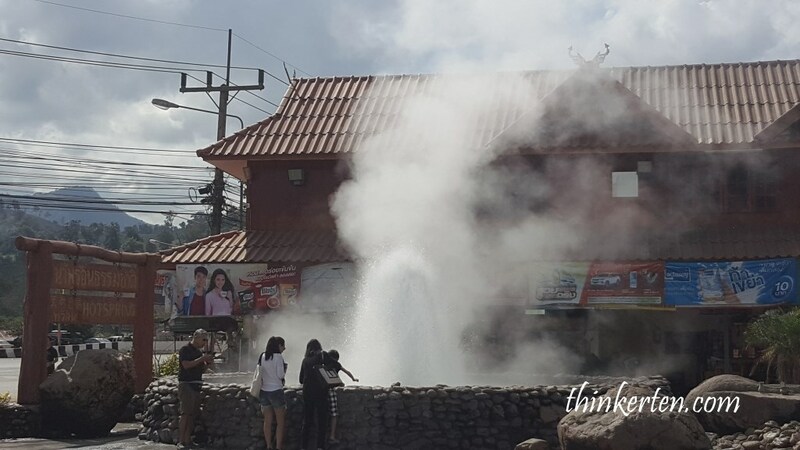 We did not try the hot spring there because we wanted to reach Chiang Mai on our targeted time. 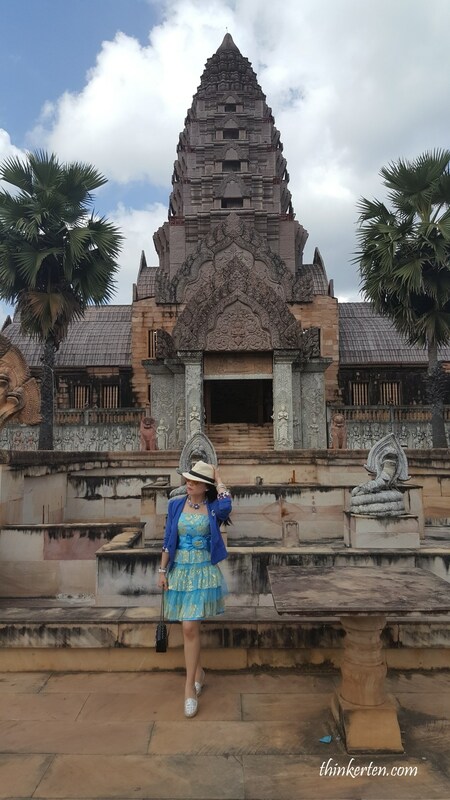 Next to the hot spring, there was this Khmer style temple which I find the architecture quite beautiful so I went to find out more. It looks slightly different from the Thai temple which I used to see during my Thailand trip, this one look very much like a Khmer style Buddhist temple, the architecture which is an open, symmetry driven structure, with many variations, on a square grid of padas, depicting perfect geometric shapes such as circles and squares. When I walked inside the temple building, there were not a single Buddhas status to be found. 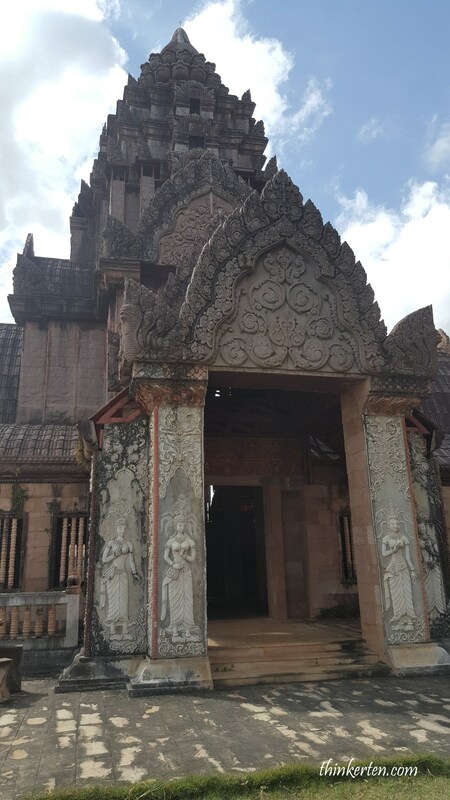 I think the Buddha were being moved out from this old Khmer style temple. 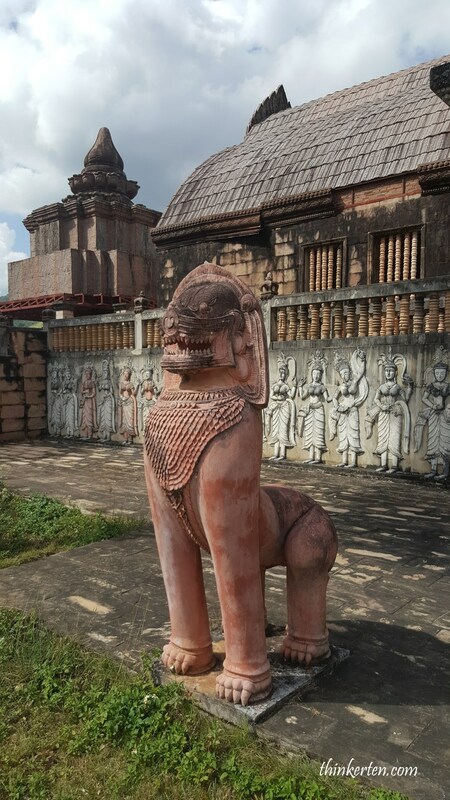 I had a stroll outside the Khmer style temple and the weather was perfect to have some nice photography session. It was a windy and sunny afternoon, weather was cool, a very good time to enjoy this beautiful architecture. Serpents, play a particularly important role in Khmer/Cambodian mythology. It primarily represents rebirth, death and mortality, due to its casting of its skin and being symbolically “reborn”. I took a picture beside a serpent statue. I had the local Thai pork legs on rice, Khao Kha Moo 30-40 baht for lunch. “Moo” in Thai mean Pork. I picked up few Thai words here and there. The dishes usually served by street vendors throughout Thailand. It tasted nicer once I added the sweet and sour chilli. Meanwhile I was actually quite concerned with hygiene of the chilli sauce because it was displayed on the table for a long time, may be since yesterday. After lunch, we continued our journey to Chiang Rai which was another 50km. We decided to check in our hotel first at Horizon Village & Resort in Chiang Mai. 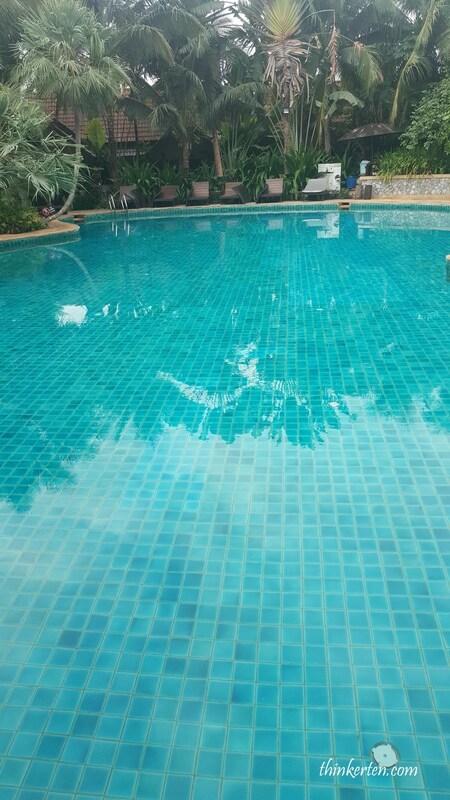 We purposely chose this hotel which is a little far from the town, 20-30 mins to Chiang Mai town area. This hotel is also one of my favourite resorts in all of Thailand. 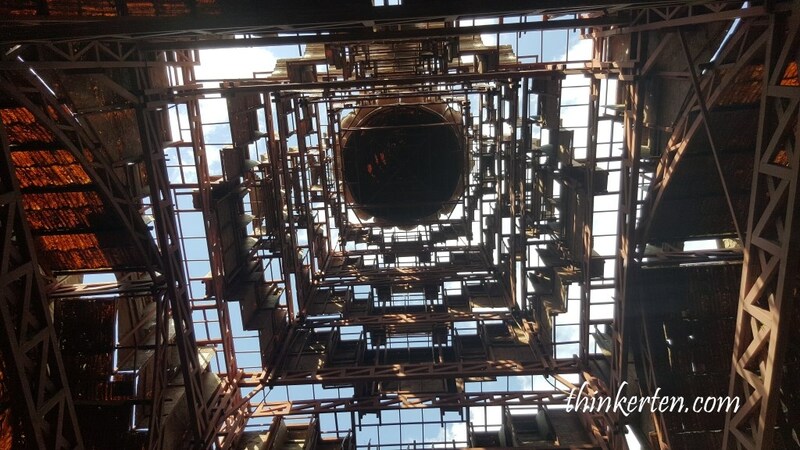 We spent 2 nights in Chiang Mai, one night we stayed away from city and another night in Chiang Mai city. View from our hotel room overseeing a beautiful big pond with few swans swimming gracefully. Upon checked in at the reception at the front desk of Horizon Hotel, the staff immediately arranged a buggy to drive us and our luggage to our hotel room. We were also given a hotel map to go about. I would say this is a laid back place to stay with access to beautiful gardens. 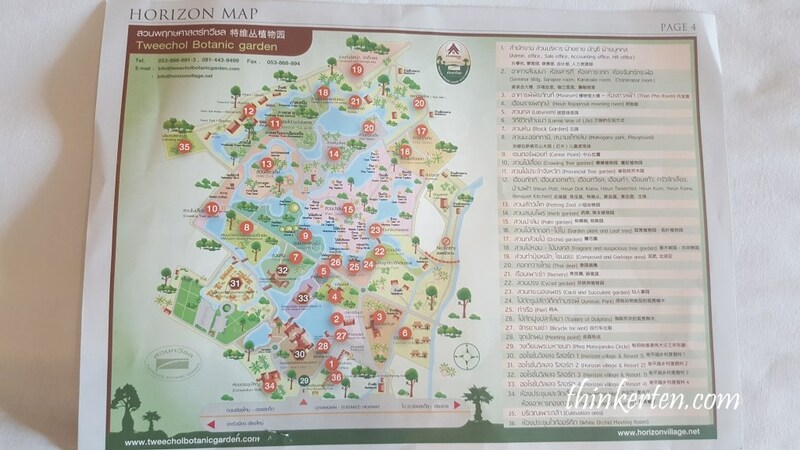 We plan to explore to the botanical gardens tomorrow morning. We rested for half an hour or so in the hotel room, then departed from Horizon Village & Resort to Wat Phra That Doi Suthep. The temple is often referred to as “Doi Suthep” although this is actually the name of the mountain where it is located. The journey to reached the Doi Suthep temple was about 1 hour plus from Hotel Horizon. We bypass the Chiang Mai town area hence we have avoided some traffic hassle and reached Doi Suthep temple by 5 pm. 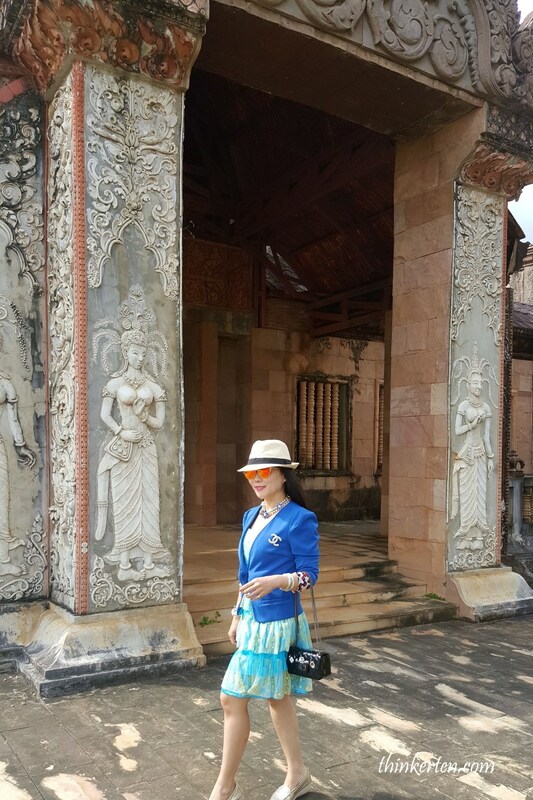 When we reached the temple, it was very crowded with both locals and foreigners. We managed to find a spot to park our rental car along the hilly roadside, then walked for about 10 mins to reached the temple. 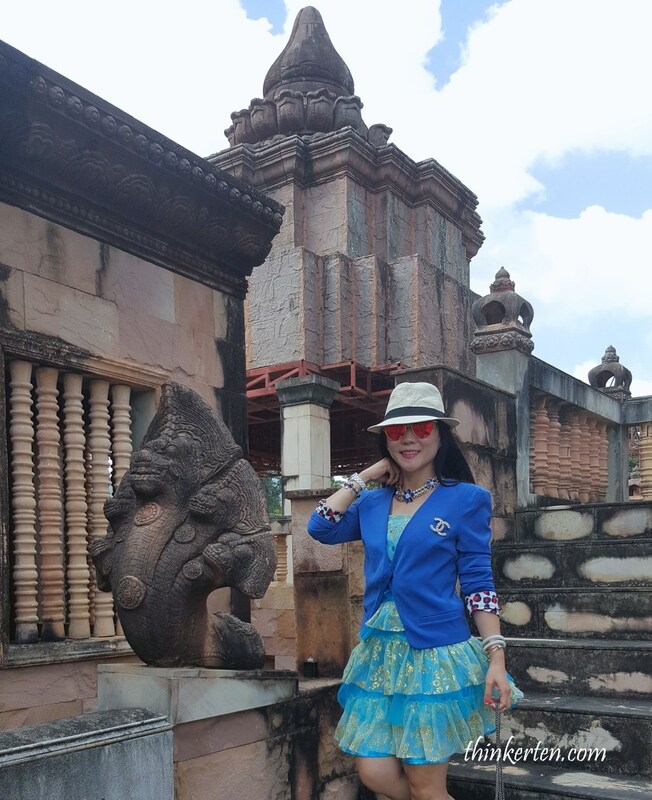 Once at the temple, there are 300 stairs to climb that are accentuated by a 7 headed dragon head serpent railing rising along both sides. Tourists or foreigners are asked to pay entry, 30 Baht. There were nobody checking on the tickets but there is a sign clearly stated Foreigner need to pay to get in. Wat Pra that Doi Suthep is the most famous temple in Chiang Mai. 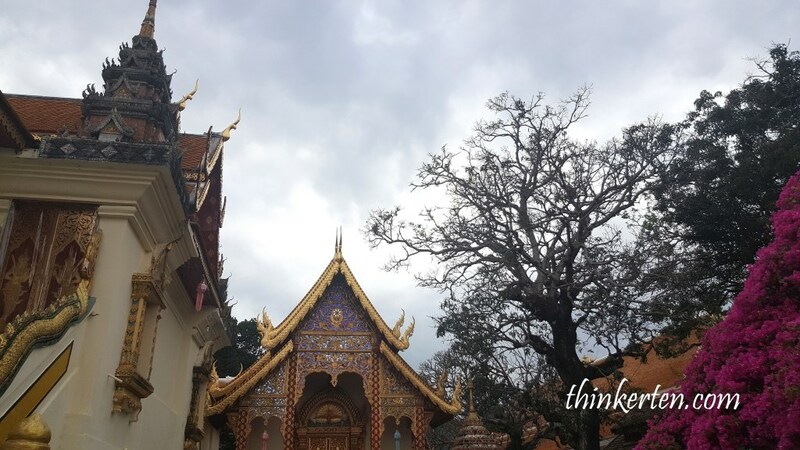 Locals say you haven’t truly arrived in Chiang Mai until you’ve been to Doi Suthep Temple. Once I climbed up the 300 stairs, I was rewarded with an unforgettable view of whole Chiang Mai city. 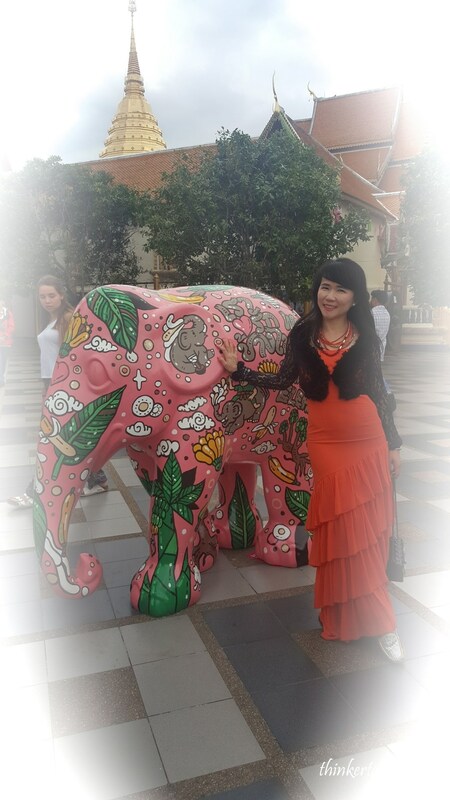 In front of this pink elephant which I took picture with, there was this magnificent view over the whole city of Chiang Mai. We planned the timing for sunset and the sunset view was just amazingly beautiful and breathtaking, except it was intensely crowded with tourists. 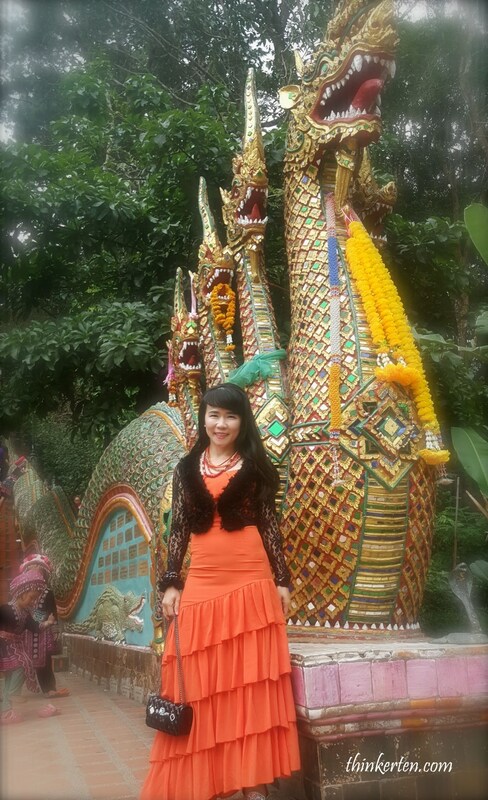 Some pictures taken inside the Doi Suthep temple. We left the temple at around 6 pm before it get too dark for us to drive through the winding mountain road back to our hotel. We reached our hotel at around 7 pm and had had our dinner. 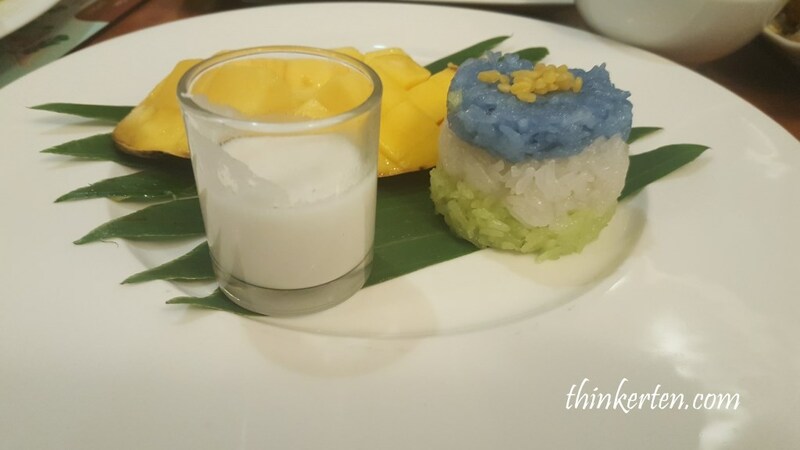 This time we ordered the famous Thai Mangoes sticky rice for dessert after our main course. It tasted very yummy.